Associate Supreme Court Justice Ruth Bader Ginsburg speaks in D.C. Many Whitman students and parents attended Ginsburg's speech. Photo courtesy Abbi Audas. Associate Supreme Court Justice Ruth Bader Ginsburg spoke at Adas Israel Congregation in D.C. Feb. 2. About her career and Jewish background. Jane Eisner, editor-in-chief of The Forward—a Jewish-American magazine—moderated the conversation to a sold-out audience. Many Whitman students attended the event, which was also broadcast online. Ginsburg opened by discussing how growing up during the Holocaust shaped her views on racism and prejudice. She then transitioned to speaking about her mother and the two major lessons her mother taught her. At the event, Eisner asked questions that readers submitted to The Forward; the topics ranged from family to gender equality in the workforce. During Ginsburg’s discussion of gender equality, she incorporated one of Anne Frank’s final diary entries detailing Frank’s hope that women would gain more rights within her lifetime. 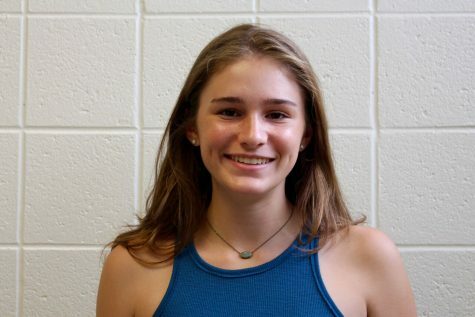 “I knew once she mentioned a 15-year-old girl that this would be an important moment that I would want my daughters to hear about,” Whitman parent Pam Levine said. One of the final questions asked what decisions, if any, Ginsburg regretted and how to learn from those experiences. She advised listeners to not look back and waste time worrying about what they have already done. The conversation lasted 90 minutes, ending with a standing ovation. The final question came from nine-year-old Carly Ray Brown, who asked what she could do to make a change. 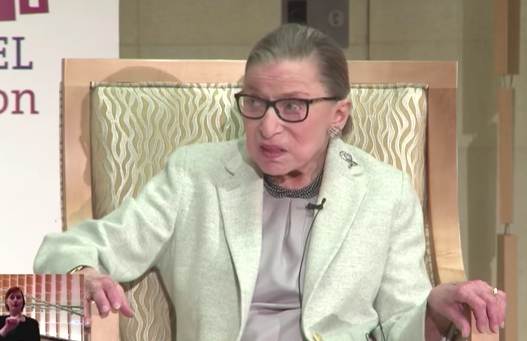 “The idea of a young girl aspiring to be a Supreme Court Justice is a beautiful thing,” Ginsburg said. Another important question asked about Ginsburg’s retirement plans, prompting an answer that displayed her dedication and love for her work. “As long as I can do the job full steam, I will be here,” Ginsburg said.